So what's the most an individual player has spent on a single game? And did it bring them the jackpot? 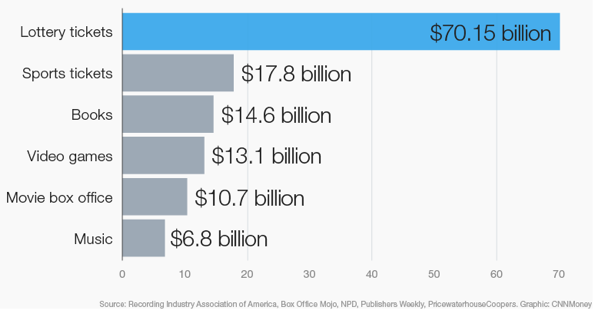 Here's four high-roller spends that will truly shock you. Jerry Dagrosa, pictured above, helped buy $614,000 worth of $2 Cash Winfall tickets for Gerald Selbee and wife Marjorie, both in their early 70s. They each bought approximately $300,000 worth of the two dollar tickets in 2011 for the tiny Massachusetts Cash WinFall lottery to guarantee a jackpot win. In this game players such as the Selbees could virtually guarantee a profitable win by spending $500,000. MIT-educated statistician Mohan Srivastava said that a player who bought 200,000 tickets during a special four-week period would make between $240,000 to $1.4 million in profit. 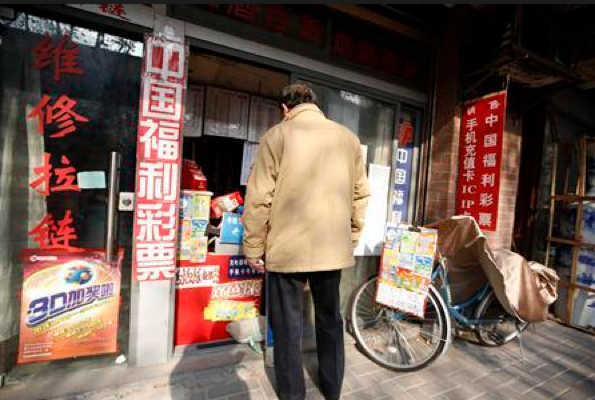 A 46-year-old Shanghai man spent his entire life savings on lottery tickets, spending $3,200 a day at one point. The man, known only as Xiao, sold his four apartments, four cars and watches worth 6 million yuan (US$958,000) to fuel his buying habit. He won 400,000 yuan (US$64,000) at one point, but eventually lost it all. Basic Vegas gambling principles - like card counting in blackjack, money management in poker, and timing in progressive slots - may have inspired Las Vegas resident Joan Ginther to buy a huge number of $20 to $50 scratch-off tickets. Ginther was thought to have bought a total of 90,000 tickets worth $3.3 million or more. $10 million in $140,000,000 Extreme Payoff in 2010. Stefan Mandel founded an international betting syndicate in 1992 so that he could raise funds to buy every possible number combination in a lottery. He was able to find 25 investors for his pool who chipped in the needed amount. Then he looked around the world for lotteries that had rollover jackpots that were more than 3x the cost of every number combination. In 1992 he saw that the Virginia State Lottery was suitable. It had seven million number combinations. 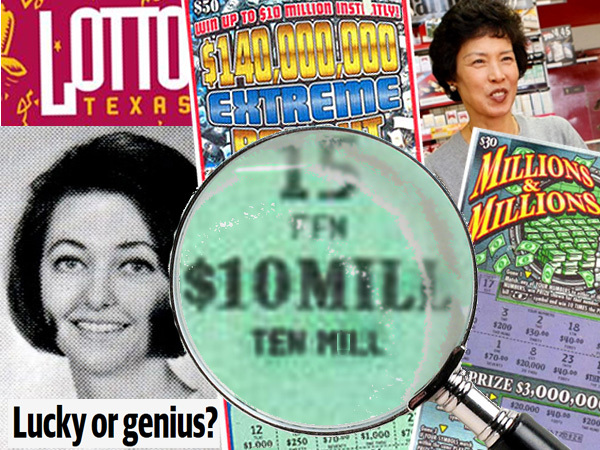 Each ticket cost $1, and the jackpot had reached $27M. The syndicate won the $27 Million first prize along with 135,000 secondary prizes. Would You Spend $4,000 A Week Playing Lotto?